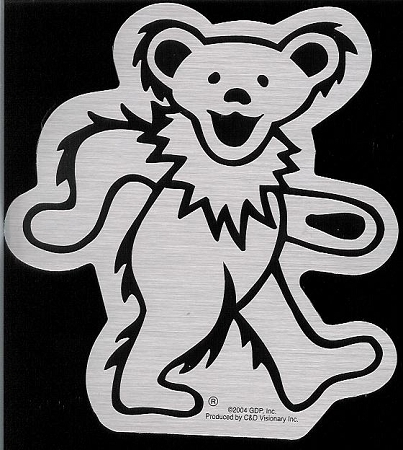 This Grateful Dead dancing Bear sticker got chromed! It's a shiny chrome bear that would look great on your car, tool chest, laptop, the places to put it are endless. It measures approximately 4 1/2" x 5" and is officially licensed Grateful Dead merchandise.